Illustration from a 19th century "penny dreadful" depicting the character of Spring-Heeled Jack demonstrating why he got the name. The source for this large copy of the image is currently unknown. 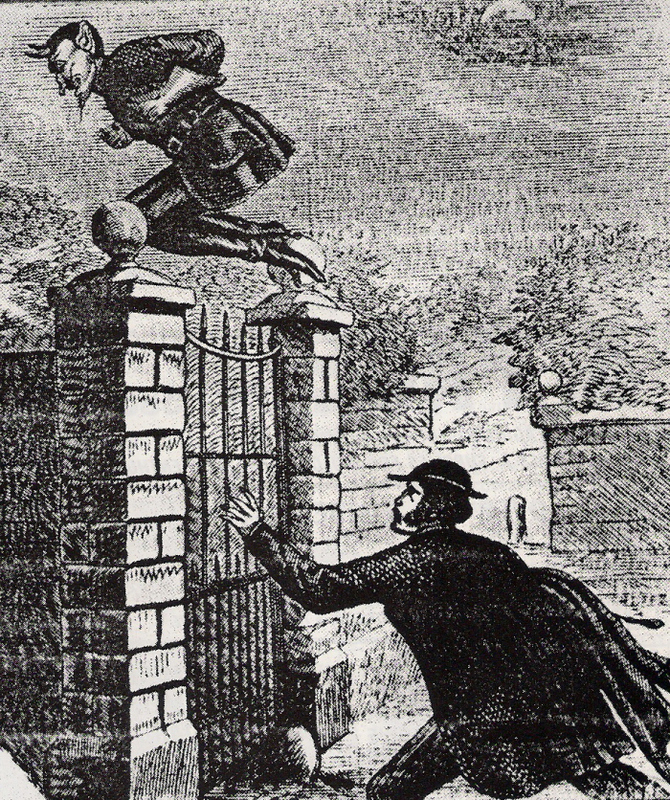 I first ran into this image -- and the stories about Spring-Heeled Jack -- in Reader's Digest's 1980-ish Strange Stories, Amazing Facts, which is a hodge-podge of weird crap... now mostly outdated, unfortubnately.